How Far is Embassy Grove? Embassy Grove, a residential project located in Bangalore is developed by Embassy Property Developments. 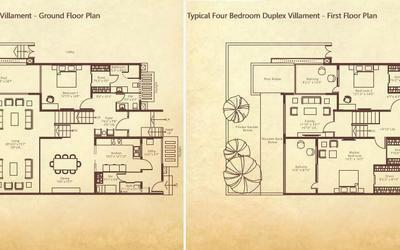 This project offers Villas for sale in Kodihalli, here you will come across 4BHK and 4.5 BHK villas. The size of 4BHK villas is 4381 Sq ft, 5444 Sq ft and the size of 4.5 BHK villas is 4900 Sq ft, 5614 Sq ft.
A place where you can find all the features and facilities of the new era in a contemporary form, located in Bangalore metropolitan city, Embassy Grove offers an exclusively crafted home for privileged few. 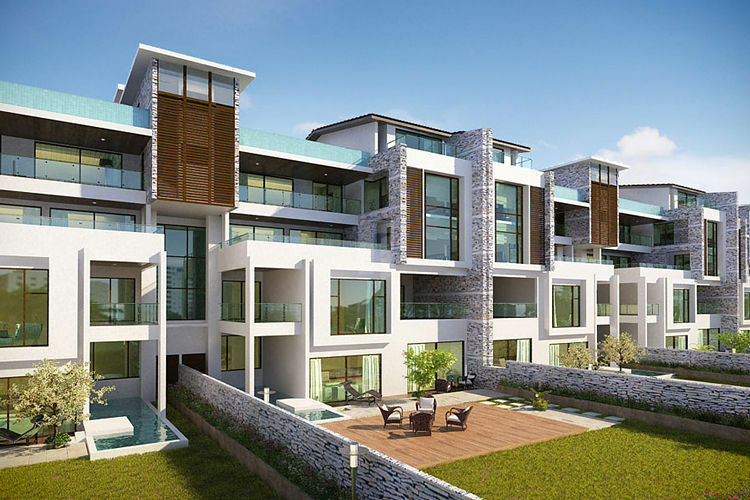 Spread across acres with duplex and triplex villas loaded with lifestyle and leisure amenities Embassy Grove offers elegant living experience to the occupants. Come and enjoy the stress-free life at Embassy grove in Bangalore. 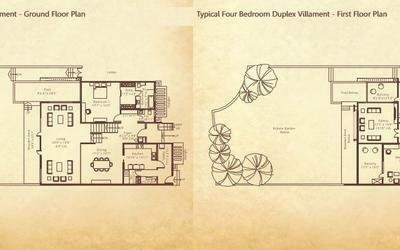 The living, dining, and family rooms are generously designed to offer a relaxing living experience for the residents. The fully equipped Kitchen is an add-on in this beautiful home. Each corner of the project is thoughtfully designed to provide luxury living experience to the occupants. The Interiors, exteriors, and the contemporary designs are synchronized flawlessly to provide perfect space for the whole family. It is located in one of the best locality in Bangalore at Kodihalli near Old Airport Road. You can spend your life peacefully at Embassy Grove. Located close to well-known schools, hospitals, colleges, shopping malls and to entertainment zones in addition to this Kodihalli is located opposite to famous Leela Palace Hotel close to key localities like Indiranagar, Jeevan Bhima Nagar, Old Airport Road, HAL Airport and to many IT companies. An amazing home loaded with luxury is waiting for you. Exterior: Water resistant texture paint. D Green slate cladding between villaments. Master bedroom toilets will have designer tiles on walls and floor up to false ceiling height. VRF air-conditioning system with zoning-blower units in the living, family and bedrooms. CP fittings of Grohe make in Master Toilets / Other toilets.Parryware make of CP fitings and sanitary fittings in domestic staff toilets. Under counter washbasin with mirror in all toilets. Toilet ventilators of teak wood frame. Exhaust fan point in all toilets. Composite pipe and fittings / GI Pipes and fittings. Living room will feature teak wood french doors. Mosquito screens will be rpovided for the openable doors in french windows. Casement windows of teak wood frame with clear glass devoid of track. Flooring is of intalian marble and dado of ceramic tile above counters. Wood finish vetrified title flooring with 100mm high skirting for all balconies/terraces. Staircase railing in teak wood with toughend glass. Security system like intruder alarm, motion detector, gas leak detectors, video door phone,biometric lock for entrance door for each villament. CCTVs are connected to home automation system. TV outlets in all bedrooms, living and family rooms. Concealed wiring with PVC insulated copper wires and modular switches.Sufficient power outlets and light points provided. One 10-passenger automatic elevator with designer Brushed stainless steel and laminated wood paneling car interiors in all blocks. Back up Generator (100 % Power back up with automatic change over switches).